Hardy, evergreen, height to 20cm. Not to be confused with the more readily available C. tomentosa, often sold, incorrectly, as C. lanosa. This species is a greener colour and enjoys the same conditions, well drained soils in sun/light shade, with a long, cool, root run. Not fussy about soil type, as long as it isn't too wet, especially in winter. 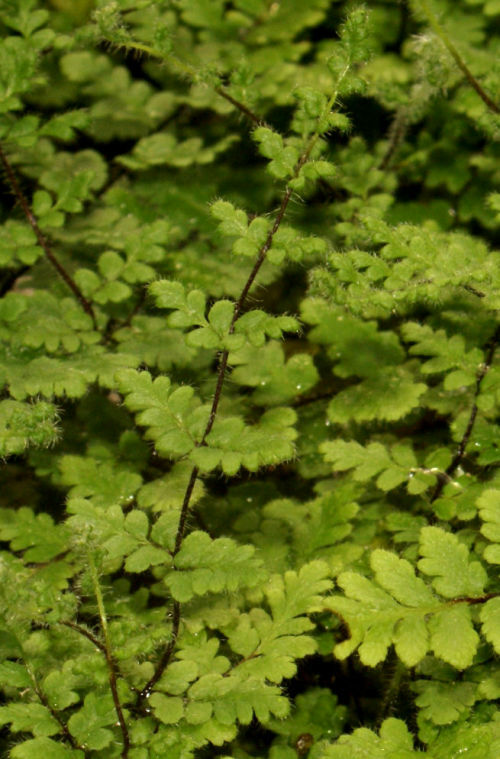 This fern is a native of the east and midwestern part of the USA.